Graeme Bennett bolting up a sparkguard on the clerestory windows of WMR 48. As these windows all open, it was necessary to fit mesh sparkguards to keep engine sparks out of the carriage while the train was in motion. 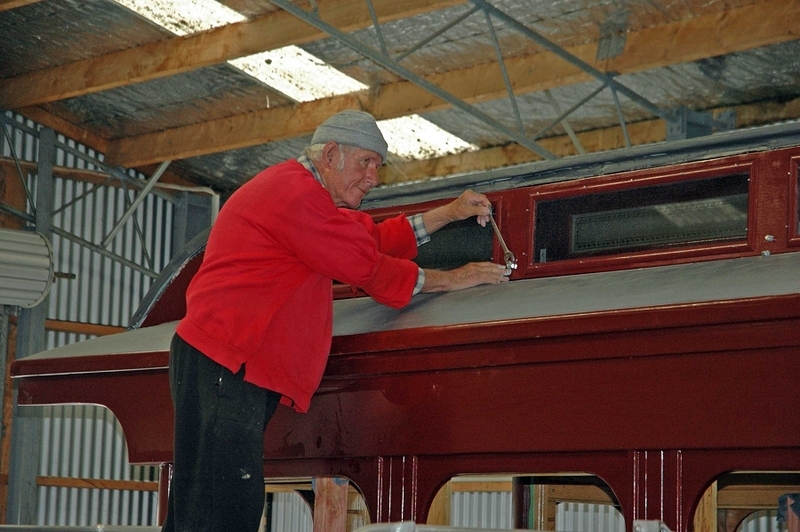 The next photo 27 shows Graeme Bennett helping fit the sparkguard on one side of the carriage..